Hang onto those precious memories forever. With spring right around the corner, you may be looking for an extra special way to remember precious times with your little one. 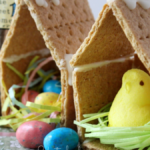 This adorable craft is the perfect way to create a sweet seasonal memento for your family. A tutorial from the Crafty Morning Facebook page shows how easy it is to use just some paint and your baby’s footprint to create a piece of art you’ll always cherish. 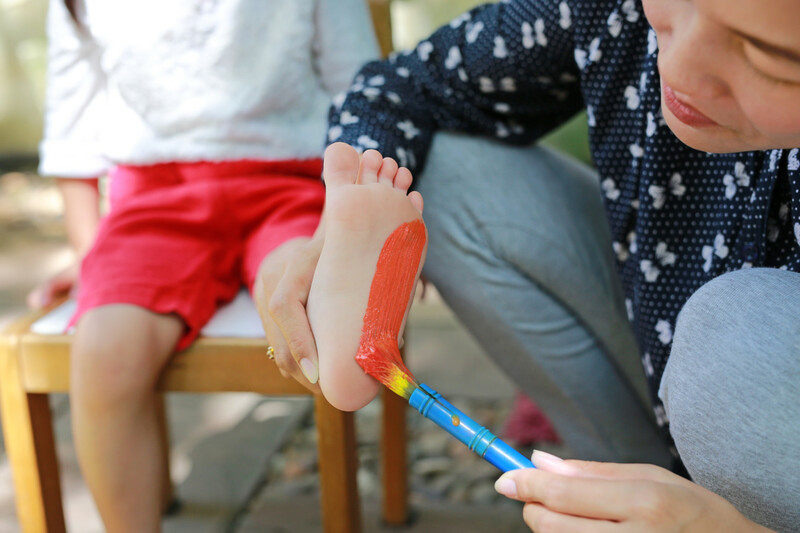 By simply covering those cute little toes and the top of the foot with brightly colored paint and pressing it down on a piece of paper, you can make your kid’s footprint look just like a flower. Add a stem and leaves or create an entire field of multi-colored florals. Bonus points for creativity here! Much like real flowers, your tiny tot will continue to grow and blossom this season. So take a moment to commemorate the time your kid was small enough to let you paint her feet. Not only is this little craft easy and fun, but it’ll also make a very nice Mother’s Day gift for moms and grandmothers! If you’re in the mood to get crafty right now, there are many more projects you and your baby can do together. 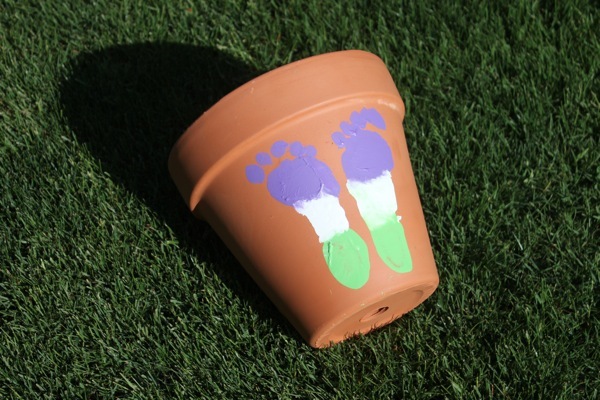 For instance, this tutorial from Mama.Papa.Bubba will walk you through the steps necessary to create a festive flower pot. 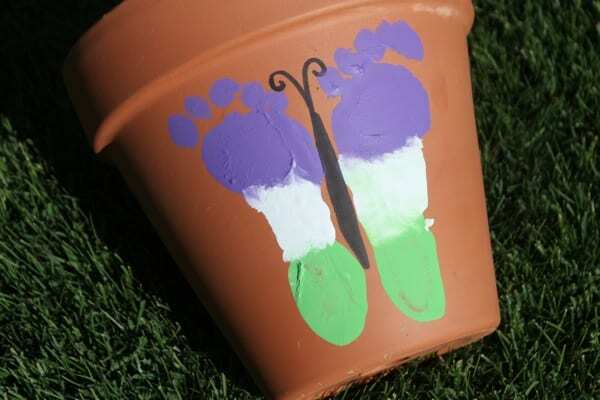 Again, you’ll need some paint, a clay pot, your baby’s foot and a little imagination to make this come to life. 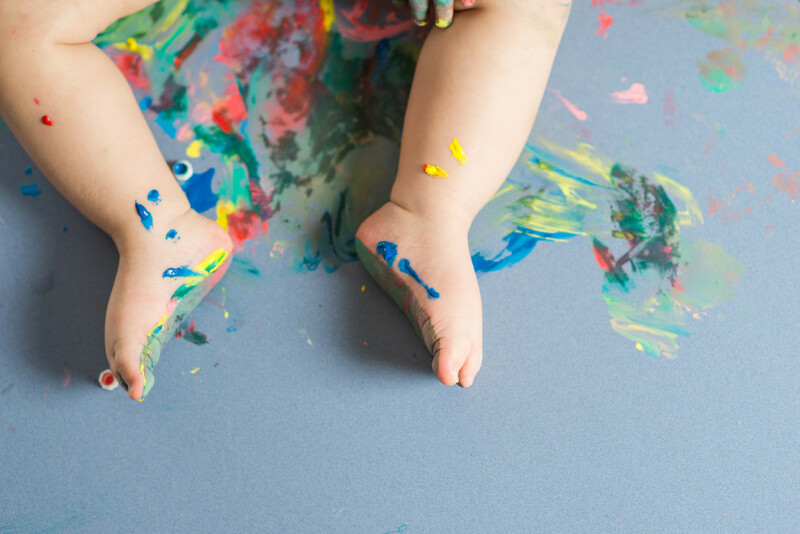 Simply choose the colors you want to use, and apply a thick layer of paint to your child’s foot. 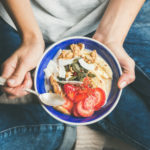 If you’re using multiple colors and want the colors to meet in the middle (like the photo below), use your paintbrush to smooth the border between each color. Then carefully press one foot onto the pot, wash it off, and then paint the other foot and do the same thing. The two straight edges of each should line up in the middle (with a small space in between), while the arched portion point outwards. If you want to turn the shape into a butterfly, simply use a Sharpie to fill it in the middle, as seen below. One important note for parents: The instructions suggest making your creation outside so that you won’t ruin your floors or cause a major cleanup situation inside, in case things get messy. If you want to make the project a bit more personal, you can also use a Sharpe to write the date or sweet message on the bottom of the pot. 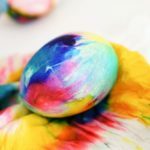 The Leah Anne Creations Instagram account also shows how you can use art to commemorate baby’s Easter. Paper, fabric or ceramic make a great backdrop for an idyllic scene, featuring your baby’s footprint as a cute little bunny. The caption also suggests adding to the project every year, so that you can watch your little bunnies grow. Or, to take your craft up to the next level, you can also frame it and hang it up on your wall in your home, as seen below. Doesn’t it look like an adorable commemorative piece of art? Grab your supplies, gather the kids around and start some art projects just in time to welcome spring! These tutorials will help you create lasting memories with your little ones that you can cherish no matter what the season.